Campanile Center for the Arts! Don’t miss the 2019 Photo Gala Saturday, February 9th from 6-8pm at the Campanile Center for the Arts! 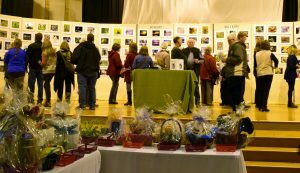 Vote for your favorite photograph in each category, enjoy delicious hors d’oeuvres, wine and beer, and bid on raffle baskets donated by some of the areas most unique and special businesses! Recommended donation upon entry: $5 per person. It’s sure to be another great event in support of Northwoods Wildlife Center’s mission to provide a better future for wildlife through rehabilitation, education, and research! We hope you join us!